"Sing unto the LORD with thanksgiving; sing praise upon the harp unto our God"
The books of reference used for this study of the book of Psalms were the Bible, King James Version, called "The Companion Bible", Publisher Kregel; Strong's Exhaustive Concordance of the Bible, numbered to the Hebrew, Chaldee, and Greek, and English, coded to the Strong's Concordance numbers. This study is provided by http://www.theseason.org with written permission from the author, R. Christopherson. BOOK or VOLUME 1 Chapters 1 to 41 "THE STRUCTURE OF THE BOOK AS A WHOLE"
BOOK or VOLUME 2 Chapters 42 to 72 "THE EXODUS BOOK OF ISRAEL"
BOOK or VOLUME 3 Chapters 73 to 89 "THE LEVITICUS BOOK"
BOOK or VOLUME 4 Chapters 90 to 106 "THE NUMBERS BOOK"
BOOK or VOLUME 5 Chapters 107 to 150 "THE DEUTERONOMY BOOK"
"THE STRUCTURE OF THE BOOK AS A WHOLE"
"Man Blessed, Law of YHVH." "A Psalm of David, When He Fled From Absalom His Son." "Prayer in View of Psalm (Evening) [2:6]." "Prayer in View of Psalm (Morning) [2:6]." "David's Prayer in View of Psalm 2, From Relief from My Foes." "The Man of the Earth, The Lawless One [Satan]." "To the Chief Musician Upon Muth-labben." "THE MAN OF THE EARTH (PARTICULAR)." "The LAWLESS ONE, ACTS [7-10]." "Prayer in View of Psalms 9 and 10." "David's Prayer in View of Psalms Chapters 9 and 10." "Taking His Place of Suffering." "Prayer in View of Chapter 16." "The People's Prayer in View of Messiah." "His People's Joy in view the Coronation of their King, Messiah." "MESSIAH. THE GOOD SHEPHERD, IN DEATH"
"Messiah. The GREAT SHEPHERD. In Resurrection." "Messiah, The Chief Shepherd in Glory." "Prayer and Worship [1-7, 11, 15-22]. ""Teaching, Worshippers [8-10, 12-14]." "Prayer with Reference to Psalms 17;"
"Jesus' Life, Death, Resurrection, and Ascension." "Prayer in View of God Deliverance." "Prayer for the Punishment of the Wicked." "God's People Praise God's Glory in Creation." 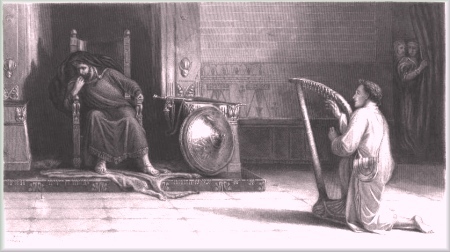 "A Psalm and Song at the Dedication of the House of David." "His People's Prayer and Praise in View of the Crucifixion." "Continuation for Psalms 31; Pray in view of Psalms 20. ""A Psalm of David, Maschil." "God's People's New Song in View of Psalm 20"
"His People's Exultation in His Exaltation: in View of Psalm 21." "Messiah's Prayer and Praise in View of Psalm 22." "Messiah's Prayer and Praise in View of Chapter 22." "Instruction as to Present Blessing in View of Psalm 23." "Contrast. Lawless and Righteous. [12-26]"
"Contrast Between Lawless and Righteous. [25-40]"
"Prayer and Praise in View of Future Blessings, View of Psalms 24." "A Psalm of David, and a Continuation of the Prior Four Psalms." "Prayer and Praise in View of Future Blessing of Psalms 24." "Messiah's Prayer and Praise in View of Future Blessing in View of Psalm 24." "Messiah's Prayer and Praise in View of Future Blessing of Psalms 24." "YHVH's Favour to Messiah. [1-3]"
"THE SECOND OR EXODUS BOOK OF ISRAEL." "Machil, for the Sons of Korah." "The Cry for a Deliverer." "God Our Help. [1 - 8]"
"Our Trouble, Don't Cast Us Off. [9 - 22]"
"YHVH Our Help. [23 - 26]"
"Our Help From the Deliverer, God is our Refuge." "The Help From the Deliverer." "The Need of Redemption Realized." "No Redemption from Man [6-9]." "Israel's Redeemer; He Breaks Silence." "His People Addressed; Deliver Promised [7-15]."